Speed Range .5 - 10 M.P.H. Call 1-800-875-9145 to speak with one of our fitness advisors with any questions you may have and to learn more about our KidsFits Fitness Equipment. Go to FitnessZone.com today to order the KidsFit Cardio Kids 710 Big Foot Junior Treadmill! 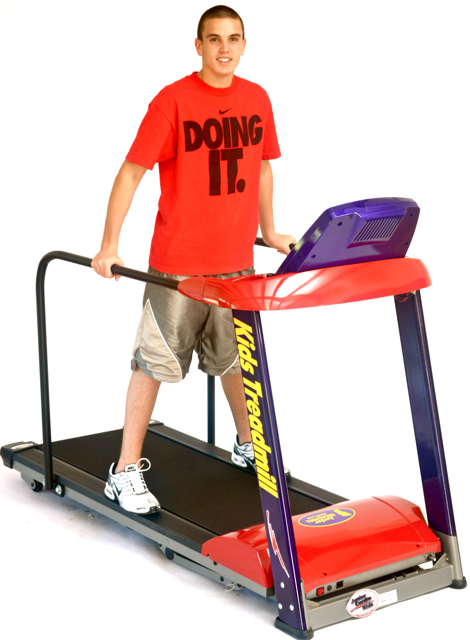 Order your KidsFit Cardio Kids 710 Big Foot Junior Treadmill from FitnessZone.com today!